A 2-1 home loss to VfL Wolfsburg on Matchday 16 left Borussia Mönchengladbach contemplating a winter break to be spent 14th in the table, just three points clear of the relegation zone. It marked a precipitous decline for last season's UEFA Champions League qualifiers and head coach Andre Schubert paid the time-honoured price. 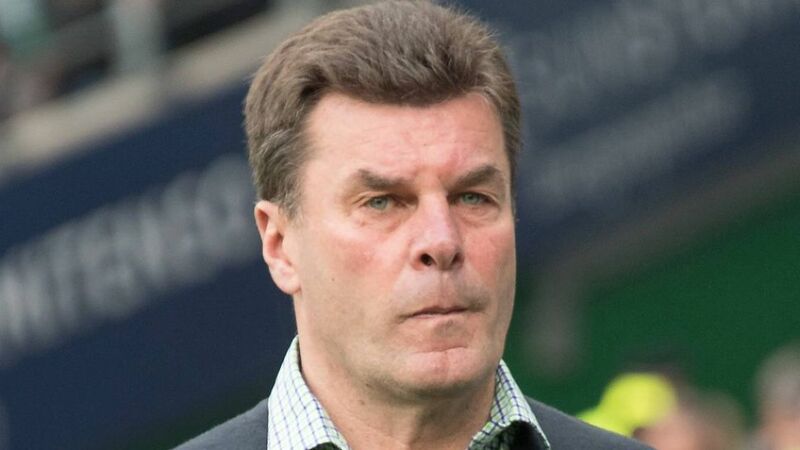 His successor was not long in arriving – Dieter Hecking, himself let go by Wolfsburg only a couple of months earlier. "Dieter's demonstrated down the years that he can bring structure onto the pitch and he can do it with a young team. That's our philosophy – and he's also shown he's a winner," said Gladbach sporting director Max Eberl after Hecking had put pen to paper on a contract through to 2019. The new coach's immediate objective is straightforward: "Staying in the Bundesliga." And that means "Work, work and more work, to get ourselves out of this unfortunate situation as quickly as possible." Until such time as that is clearly happening, the competing attractions of the DFB Cup and UEFA Europa League will have to play second fiddle. "We can all make a fresh start in January." Hecking is something of a specialist when it comes to arriving fresh on the scene midway through the season. In 2009 he joined 1. FC Nürnberg as coach on 22 December and it was three years later, to the day, that he made the switch to Wolfsburg. In 2015, Hecking led the Wolves to runners-up spot in the league and victory in the DFB Cup. Their gradual decline from that pinnacle culminated in his departure in mid-October – leaving him free to come on board Gladbach's more rapidly sinking ship. Alongside a January training camp in Marbella, Hecking can look forward to the prospect of adding a few fresh faces to his new squad during the winter transfer window. His first Bundesliga assignment with Gladbach comes on 21 January, at SV Darmstadt 98. Click here for a detailed look at Gladbach's season so far!